Did these out of pure love for Life. Put a lot of Life power in to these jewelleries. 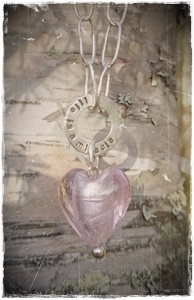 Necklace with a pink big heart made of glass. 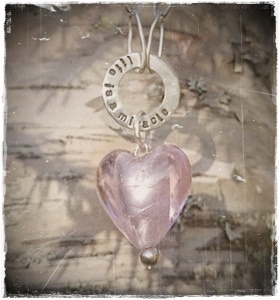 Hangs on a really cool chain of sterling silver.